Bournemouth Borough Council: Jess Glover is delighted to announce that she has recently secured a Lawful Development Certificate for an existing use. 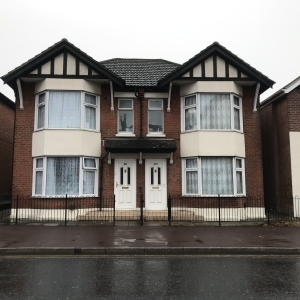 In this particular application, the building had been converted in the early 2000s from a Use Class C3 dwelling into a Use Class C4 HMO in the Winton East ward of Bournemouth. On 1st October 2018, new regulations requiring mandatory licensing to all Houses in Multiple Occupation where five or more unrelated people reside came into effect. In order to obtain an HMO license the property is required comply with amenity standards, management regulations, fire safety standards and to be in a lawful use. Lawful Development applications take time to prepare to ensure that on the balance of probability the evidence submitted will make evident to the Council that the unlawful use has continuously operated for the minimum amount of time required to become lawful under the relevant statutory legislation. Furthermore, the publically available enforcement records were checked to ensure that at no time in the last 10 years that the Council had served an enforcement notice asking for the unlawful use to cease. With the application submitted, Pure Town Planning closely liaised with the Enforcement Officer throughout the application, including a site visit to validate the evidence submitted does relate to the existing situation within the property. The Case Officer concluded that on the balance of probability and on the basis of the evidence provided as part of the application that the use of the application site has been in continuous use for the purposes specified for a period in excess of 10 years and issued a Lawful Development Certificate confirming that the existing lawful use is now a Use Class C4 HMO. So, if have been impacted by the new HMO licensing regulations or you have an unauthorised use or building which you are considering to regularise why don’t you give Pure Town Planning a call on 01202 585524 for a free confidential discussion on how we can assist you.